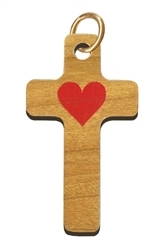 This cross is open to individual interpretation: Our Heart with Christ, Christ's Heart Given for Us, "Servants of Christ Doing God's Will from the Heart" (Ephasians 6:6), or whatever personal message touches you and that you wish to share with those around you. 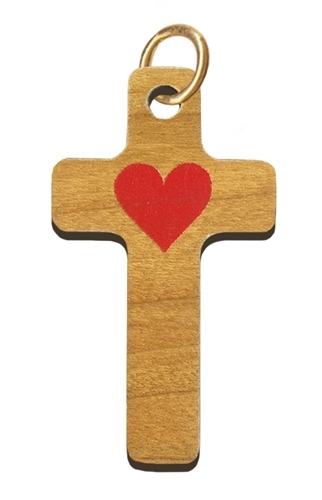 This lightweight cross is laser-cut from cherry wood, precision painted, and makes a terrific gift for any occasion. 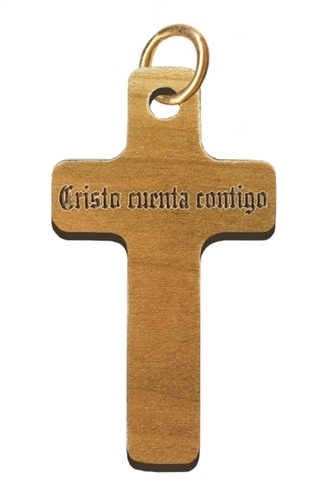 "Cristo cuenta contigo" is emblazoned on the reverse, Spanish for "Christ is Counting on You."